For this recipe, which I was bestowed upon to bring to Easter dinner this year - I wanted to make sure it was especially delicious! I put my own subtle changes to the classic Easter staple we have at my Aunts each year. Then I purchased 3 kiwi (sliced into half moons) and two 14oz cans of mandarin oranges. Place all fruit in large bowl and chiffinade (make ribbons) of about 5-6 mint leaves and cover with plastic wrap. In the meantime I took 1/2 a large container of Fage total greek yogurt (plain flavor) and mixed it with 2 smashed bananas, 1 tablespoon honey and the juice of one lime. 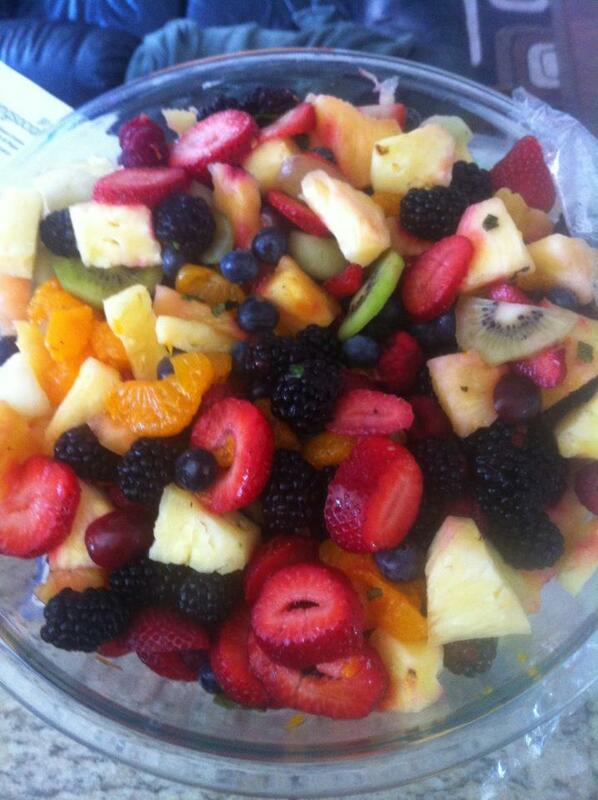 Chill fruit and drain any accumulated liquid before serving, gently fold in yogurt mixture when ready to eat.